The aim of the module is to explore the relationship between theological understandings of suicide, mental health and pastoral support. 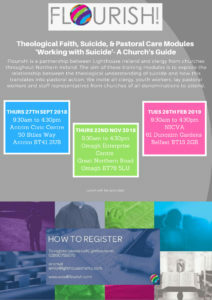 Identify and consider their church’s theological understanding and approach to suicide, mental health and pastoral support. Identify the particular role of clergy after a suicide. Prepare a church response to a suicide death. 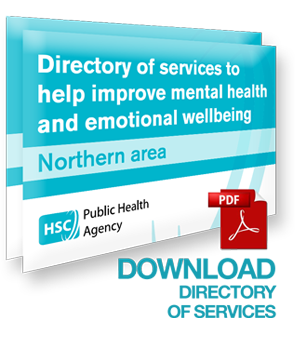 Have greater confidence, knowledge and awareness of the most appropriate approaches to conducting a funeral of a person who has died by suicide. 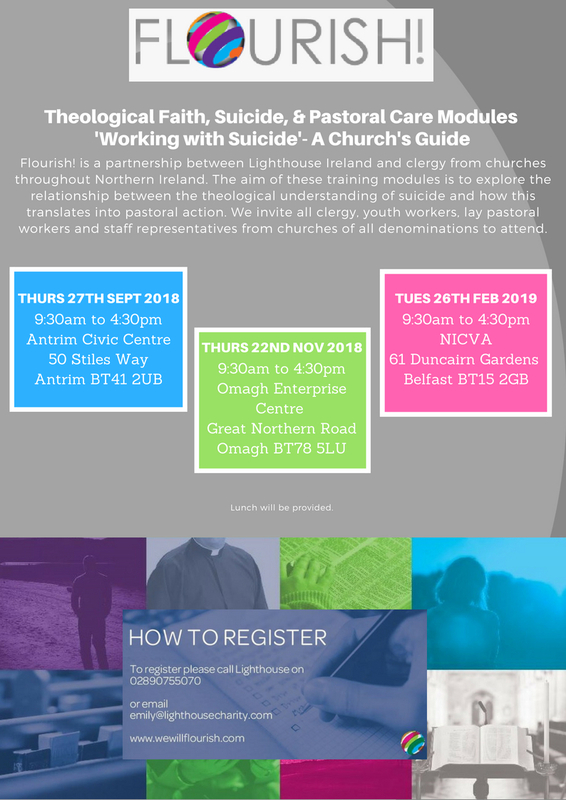 Discussion: Sharing and discussion on theological understandings and approaches to suicide, mental health and pastoral support in different churches.